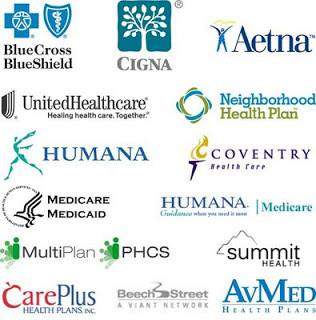 It’s that time of year when many of us are offered an opportunity to review or maybe change health insurance plans. Many people do nothing, opting to stay under a coverage in which they are either satisfied or feel it’s the devil that they at least know. Others switch providers to escape a policy with terrible coverage, or perhaps because their current plan will no longer be available next year. Still others change plans to save money. I am in the last category right now. I am still too young for Medicare. My wife and I will remain on my former employer’s plan with my share of the cost deducted from my monthly annuity. I have been a Blue Cross subscriber for over 20 years. As a federal government employee, I was fortunate to not only be enrolled in a fairly robust national health plan, but I also had choice offered among a “supermarket” of healthcare companies competing for employees to sign up for their coverage. Although I was sometimes tempted to switch, I always ended up staying with Blue Cross because I felt — or at least I enjoyed an illusion — that I had more flexibility and freedom than those of other plans, particularly the dreaded HMO’s. Be it an HMO or not, each health insurance company does do its level best to control costs at every turn. I am getting my fill of all such jargon and fine print this month. I’ve decided to exit from Blue Cross’ coverage because its costs will increase to nearly eight percent in 2016, and that’s now too much for me be able to justify from my monthly annuity. With no COLA being offered in either Social Security or federal retirees next year, I had to research all of the plans in order to find a less expensive alternative. It has been an all-encompassing process with on-line tools, phone calls to insurance companies, and reading reviews from both satisfied and dissatisfied subscribers. New this year in the federal health plan is a “Self Plus One” enrollment option. This option was created at the urging of older workers and retirees who no longer have children to cover, yet they were still having to pay the same “Self and Family” costs for a married couple. We will continue to cover my step-daughter until her 26th birthday this coming summer (Hi, A), so Self Plus One is not yet an option for us. Still, I was curious to see what the savings are. For my current Blue Cross plan it is a savings of about $8 a month, and for the plan I eventually chose it is $14 less. According to analysis from Government Executive Magazine, the rates for Self Plus One this first year were somewhat arbitrarily made, but in future years there will probably be a greater degree of savings specificity based on enrollment numbers and other related factors. I ended up choosing the Samba standard health plan for 2016. Samba is a not-for-profit federal employee benefit association who partners with Cigna to provide health insurance coverage for current federal employees and annuitants. It took some work in cross-checking to make sure our current doctors were listed in Cigna’s network of preferred providers. And to double-check, I also called each doctor’s office to confirm so that there aren’t any surprises next year. In addition to the monthly savings out of my annuity, we’re also coming out ahead with lower office co-pays and for the cost of at least two prescriptions that Gorgeous takes. A blood pressure med prescribed for me, however, will go from $3.99 for 90 days under Blue Cross to $15.00 on Samba. Additionally, my chiropractor is not a participating provider, and so I will probably have to find another one. Still, all things being equal, the new plan at least on paper looks to be a positive switch. We won’t know for sure until we actually start using it, but if we’re not happy we can always convert again next year. For now I will remain optimistic. As I mentioned above, I haven’t had to change my health insurance coverage in over 20 years. I do not write this in a callous or obtuse manner. I am fully aware of how fortunate I’ve been; how myself, my wife, and step-daughter continue to be; and what the reality is for millions of Americans who suffer with sub-standard or no health coverage at all. I have family members who are forced to buy insurance on the Obamacare exchanges, and they’ve told me first-hand just how below average the quality of it is.They are grateful for something as opposed to the nothing that they had before, but they do hope for better coverage in the future. Indeed, I am fortunate, and I was easily able to verify his information as I sample-priced coverage for what it would cost us on the open exchanges. Healthcare outlays are the number one personal expense in retirement as we all age. As you consider and work on your own healthcare coverage for 2016, I sincerely wish you the best of luck in finding your perfect match. Please share with me your experiences below, and that goes for you wonderful international readers too. You ARE lucky with your health isurance choices. All I have to do is hang in 16 more months to qualify for Medicare. In the meantime, my insurance coverage provided is the only good thing about my current employer. It’s a Catch 22: A horrible job with a great insurance policy, so I can afford to see a therapist for the daily abuse I get on the job! We are both under Medicare which also requires a gap policy to cover what Medicare doesn’t. My husband worked for a large company and they provide a service that helps retirees navigate the system. In that sense we are lucky. However, the plans are not cheap and we spend time revisiting every year. the drug plans are the worst! Good luck to you. BTW, when you have a change (like your step-daughter leaving the plan) you have an opportunity to change without penalty. At least that was the law when I retired not that long ago. That sounds like a great service your husband has. One of the things my parents never understood is that all of this needs to be reviewed every year. I recall both of them complaining how things kept changing. Yes, I do know that once my step-daughter turns 26 this will allow us to switch to Self Plus One. I might just leave it alone and wait till next year too — I also have an inherent distrust of insurance companies! I understand. Right now we are renegotiating our electric service provider. Here we do that at least once a year to make sure we have the lowest cost. It’s just as painful. Well, we have been, by our own choice, with a “dreaded HMO” for many years. First GWU’s HMO in DC (under who’s amazing High Risk Pregnancy program both my kids were born) and now for 30+ years with Kaiser here in Portland, Oregon. I have very few complaints about the HMO way of providing health care. But, I do have complaints about the Self+One concept as administered by our shared former employer. Don’t count your savings from that program yet, Marty. For us to switch from family to Self+One would actually have cost us about $700 a year. That is right, $60 per month more to cover the two of us than to cover a family with 7 kids. Turns out, that is not even an attempt to gouge by insurance companies. It really does cost more to provide health. care to a pair of senior citizens than it costs to cover a young couple with a bunch of kids. Too bad OPM promoted the whole Self+One concept as being about couples without kids around saving money. So, yeah, no one in their right mind would switch to Self+One under Kaiser. And, yes, Marty, Thank You for subsidizing everyone else’s health insurance for all those years before you and Gorgeous got together and you had no more than two people but had to pay the Family rate. Ha! I did indeed subsidize those with families. But I also don’t think the Self Plus One is a loser. It’s the first season for it, and the pricing for it was difficult to achieve since insurance companies had no prior enrollment statistics. I am bullish for it in future years. Now HMO’s? In bigger cities they have to compete with better service, but I’m hesitant to choose one in smaller hamlets such as Fresno and now where I am in Florida.